The Grand Theater presented their first live concert Thursday night to a crowd of more than 60. 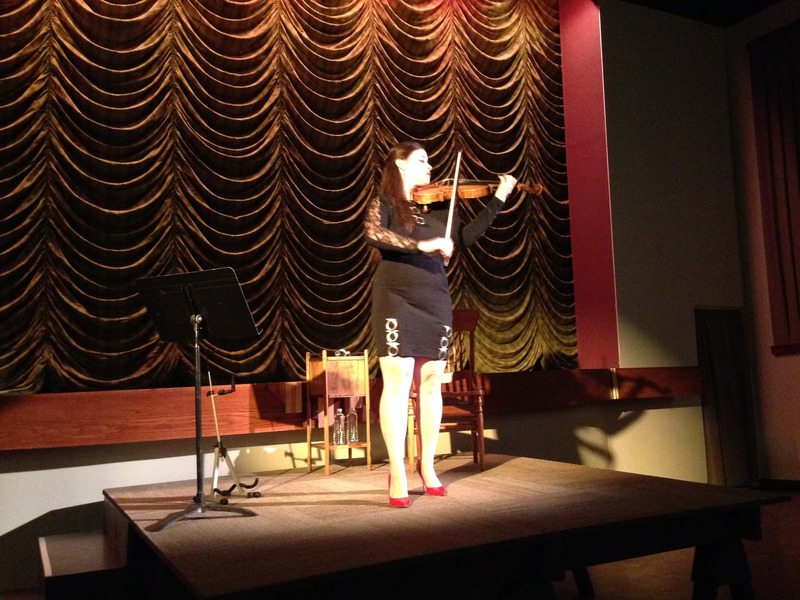 Violinist Allison Lint performed a program entitled Violin for Vasculitis. Lint shared about her struggle with Vasculitis in between pieces by Bach, Mozart and Kriesler. Vasculitis describes a family of diseases that cause the immune system to attack itself and are so rare that Lint says doctors often have difficulty diagnosing them. Lint is an alumni of the acclaimed Oberlin Conservatory and was recently accepted into the Wichita Symphony. All proceeds from the free-will donations contributed to Violin for Vasculitis, a campaign by Lint to perform in every state and raise Vasculitis awareness.